This work is part of a series of comprehensive practical guides for the solo piano. A reference book for all levels - amateur, student, teacher and professional - the purpose of the series is to help pianists with their choice of music to suit their own styles and capabilities, and to discuss their technical and interpretive demands. 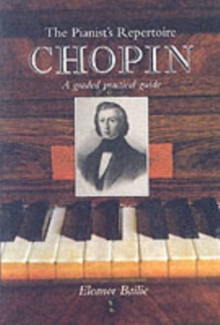 This volume provides a complete survey of Chopin's music for solo piano, including a graded list of his works together with detailed suggestions for study and performance. An extended introduction places Chopin in the context of his time, distancing him from the romantic misconceptions that have dogged his reputation through successive generations.